yesterday i hung out with a few friends. 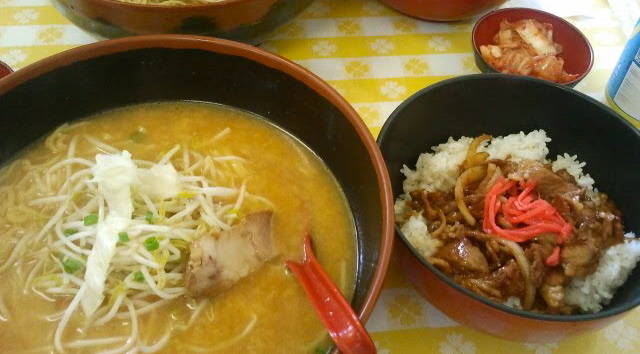 we had lunch at misoya, a teeny, tiny japanese restaurant. yumm-o. why does it have to be typhoon/rainy season!?!? so frustrating!!!!! we hung out at the beach until night time, when we couldn’t even see each other in the dark. 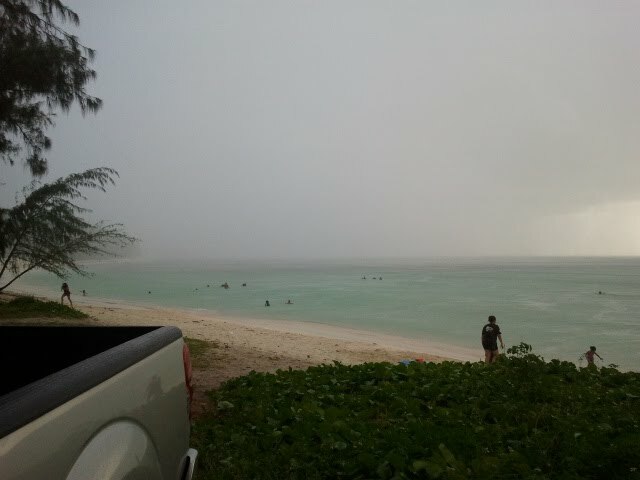 This entry was posted in friends, Saipan and tagged about me, friends, life, photos, Saipan. Bookmark the permalink. Beautiful photos of the beach.. it looks like fun! 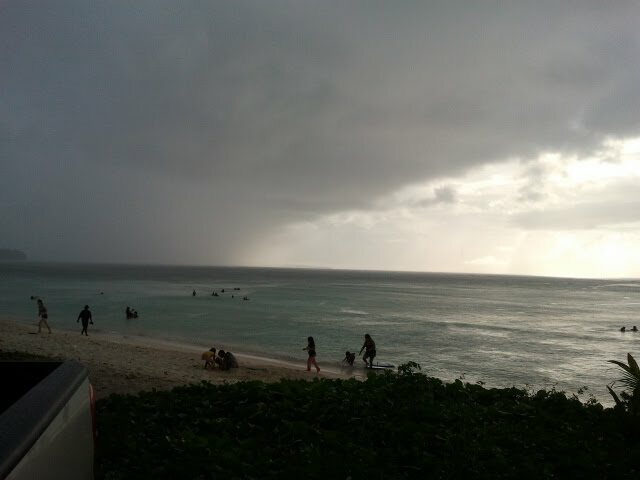 Looks like a great day at the beach…even though it was rainy. Fun, fun!